Remember a few weeks ago when I was in the process of painting my flower pots and I posted the list of my top 10 DIY painted flower pot ideas? Well, I did finish them and I LOVE how they turned out! These distressed pots were super simple to make and I LOVE the results! 2. Spray lightly with Krylon Make it Stone spray paint and wait for it to dry. 3. Paint with your choice of acrylic paints. I used a combination of Martha Stewart's Wedding Cake, Blue Sky, and Cloud and I just dabbed all three colors on the pot with no real rhyme or reason. 4. Once the acrylic paint is dry, take a course grit sandpaper and rub some of the paint off! Voila! 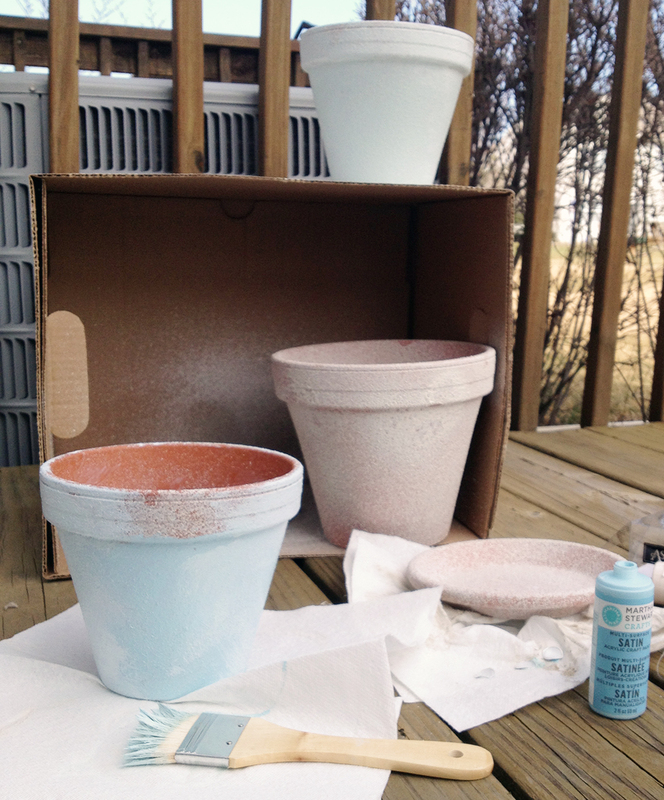 Easy-peasy distressed flower pots! Did you try this DIY? How did it turn out? Let me know in the comments section below! 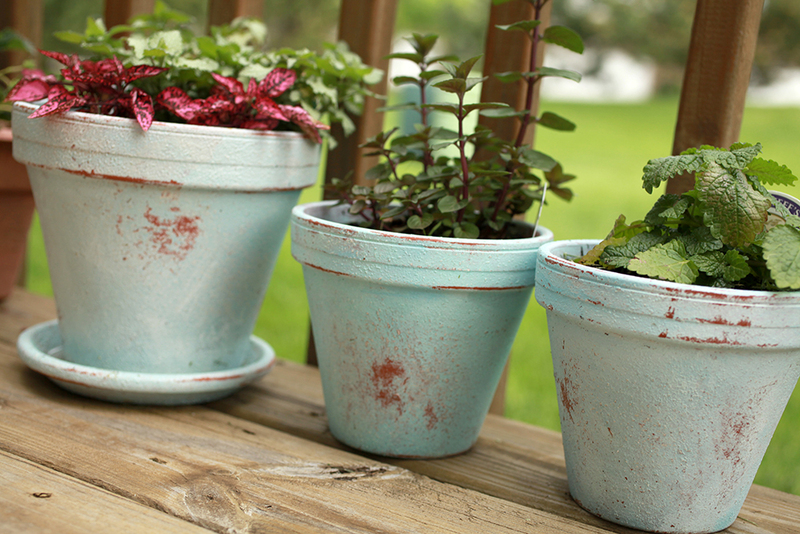 Want to know how to create your own GORGEOUS container garden? It's SUPER easy to create a beautiful container garden. Enter your email here and I'll give you a free PDF with my super simple tips. Thank you so much! You'll receive an email from me with your tips soon!